It’s been a while… Can you tell by the cart? Yes, yes, so easy…Home Depot. We picked up the rest of the refinishing supplies for the vanity. 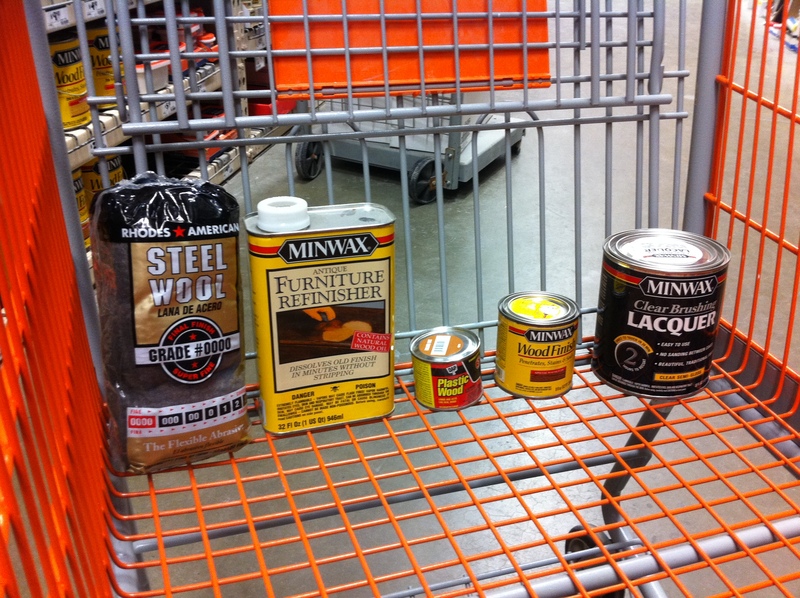 From L to R: steel wool for stripping, refinisher, wood putty, stain, and lacquer. More on our decision to use lacquer (vs water based poly vs reg poly vs shellac) when we get to that step.